Provides guidance on honoraria payments and/or travel and incidental expenses reimbursements to non-employees including short-term, nonimmigrant alien visitors to the University in order to comply with U.S. immigration and tax laws. As defined by U.S. laws and regulations (8 CFR 214.8), includes but is not limited to lecturing, consulting, attending meetings, or otherwise sharing knowledge, experience, or skills in master classes, readings, and performances (when the audience is composed of non-paying students and/or open to the general public and general admission tickets to the public have not been sold). A gratuitous payment of money or other things of value to a person for the person’s participation in a usual academic activity or activities for which no fee is legally required (8 CFR 214.8). An alien (foreign national) whose reason for coming to the United States involves a temporary stay that will end when its purpose has been accomplished. A document that allows a nonimmigrant alien from a foreign country to travel to a U.S. port-of entry, and request permission of the U.S. immigration inspector to enter the U.S. Issuance of a visa does not guarantee entry to the U.S. The CBP Officer at the port-of-entry determines whether the nonimmigrant alien can be admitted and decides how long the nonimmigrant alien may stay for any particular visit. The most common nonimmigrant visa also known as the “visa for temporary visitors for business or pleasure” is used for persons desiring to enter the U. S. temporarily for Business (B-1) or for pleasure, tourism or medical treatment (B-2). Business reasons include “usual academic activity or activities” such as lecturing; attending meetings; and sharing knowledge, experience, or skills in master classes, readings, and performances. Nonimmigrant visa issued by the U.S. to exchange visitors participating in programs that promote cultural exchange, especially to obtain medical, scientific, or educational training within the U.S. J-1 visitors may remain in the U.S. until the end of their exchange program, as specified on form DS-2019. Enables citizens of 36 participating countries meeting the Visa Waiver Program requirements to travel to the U. S. for business or tourism (visitor [B] visa purposes only) for stays of 90 days or less without obtaining a visa. Nonimmigrant alien visitors cannot extend their stay. VWB (Visa Waiver for Business) and VWT (Visa Waiver for Tourism) travelers are required to have a valid authorization through the Electronic System for Travel (ESTA) prior to travel to a U.S. port-of-entry. The U.S. Department of Homeland Security’s (DHS) Customs and Border Protection (CBP) online system that is used by international travelers to request entry to the U.S. through the Visa Travel Program (VTP). 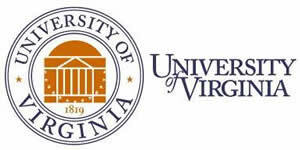 In general, honoraria may not be paid to University of Virginia students. University faculty and staff may not receive honoraria from the University, except through the wage payroll system. Departments requesting payments of honoraria for University faculty, staff or students should contact University Payroll or Procurement and Supplier Diversity Services if any questions arise. Honoraria payments in excess of $2000 require prior approval by the respective dean or vice president. The University will adhere to U.S. Immigration and Tax laws relative to payments made to short-term, nonimmigrant alien visitors. Departments requesting payments of honoraria and/or travel reimbursements for short-term, non-immigrant alien visitors should contact Compliance and Immigration Services if any questions arise as to compliance with these laws. Tax and immigration laws allow honoraria to be paid to a nonimmigrant alien visitor holding B-1 or B-2 visas, or Visa Waiver status VWB and VWT. An honorarium is provided as a token of appreciation. Generally, the value of an honorarium may be of any dollar amount with no minimum or maximum dollar amount required. The Honoraria Rule allows a nonimmigrant alien visitor to receive an academic honorarium payment and expenses as long as the “usual academic activity or activities” comply with the 9-5-6 Honoraria Rule. The rule states that a visitor may not present lectures or teach classes for more than 9 days (maximum days of presence) at the University (e.g., a nonimmigrant alien is not eligible if they present a lecture or teach a class each day for 10 or more days). Further, the nonimmigrant alien visitor may not have accepted any type of payment from more than 5 educational or research institutions (including the University) within the previous 6-month period. A nonimmigrant alien visitor meeting all three provisions is eligible to receive an honoraria payment. Honoraria payments are subject to federal income tax withholding at a 30% rate unless specifically exempted by a tax treaty. Certain countries have a tax treaty with the U.S. that includes an “independent personal services” article (IRS income code 16) that reduces or eliminates withholding. Countries that have a tax treaty with the U.S. are listed in IRS Publication 519, Table 9-1. To be eligible to apply the tax treaty, the nonimmigrant alien visitor must also possess, at the time of the payment, either a U.S. social security number or Individual Taxpayer Identification Number (ITIN). See procedure for completing Form 8233. In addition to paying honorariums to nonimmigrant alien visitors, departments also have the option of reimbursing nonimmigrant alien visitors for travel and incidental expenses. Travel reimbursements are not subject to tax withholding and are not reportable to the Internal Revenue Service as long as they are made under accountable plans as allowed by Section 62 (c) and described in Treasury Regulations, Subchapter A, Section 1.62-2. To be eligible for a reimbursement, the nonimmigrant alien visitor must comply with University policy and procedures covering the reimbursement of travel and incidental expenses. The University encourages nonimmigrant alien visitors to travel on B-1 or VWB visas (visas for business reasons). Persons holding a B-1/VWB visa who exceed the provisions of the 9-5-6 Honoraria Rule are not prohibited from giving an invited lecture; however, they cannot be paid an honorarium but may receive reimbursement for travel and/or incidental expenses. Foreign nationals holding a B-2/VWT visa, who exceed the provisions of the 9-5-6 Honoraria Rule also can continue to give lectures; however, these foreign nationals cannot receive either an honorarium or travel reimbursement. A J-1 scholar at another university and/or institution may be invited to the University to lecture or participate in a usual academic activity or activities on an occasional basis. The scholar must have received written authorization in advance of the academic activity from scholar’s sponsoring organization’s “Responsible Officer” or “Alternate Responsible Officer” to receive an honoraria payment and/or travel reimbursement from the University. The written authorization must be included with the paperwork that is submitted to pay the honorarium and reimburse travel and/or incidental expenses. J-1 scholars are not subject to the provisions of the 9-5-6 Honoraria Rule. For an honorarium, J-1 scholars are subject to federal income tax withholding of a 30% rate unless specifically exempted by a tax treaty. Revision History: Updated 7/10/14, 6/30/11, 3/19/08.